Three cheers for the "old" economy! 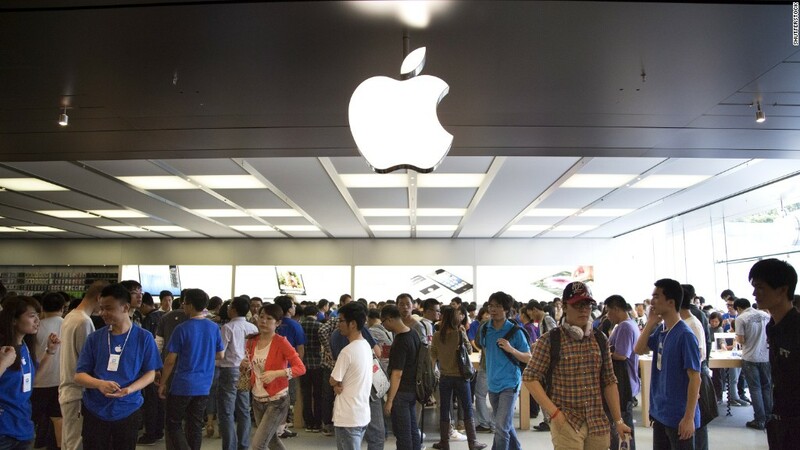 Apple (AAPL)and Microsoft (MSFT) may pull the Dow down on Wednesday after reporting disappointing results. But two other Dow components offered investors a reminder that there's more to the markets than just tech stocks. Coca-Cola (KO) and Boeing (BA) both reported earnings and sales that topped Wall Street's forecasts. Not bad for companies founded in 1892 and 1916 respectively. Both stocks were up about 1% in early morning trading. Coke was able to beat analysts' estimates despite a strong dollar and another huge plunge in Diet Coke sales. Volume was down 7% worldwide. Coke seems to be making more of an effort to promote its other diet drink. Coke Zero's sales volume was up 6%. But Coke's overall sales volume rose 2% -- better than expected. Coke also reported strong sales growth in its non-soda products: tea, water and its new Fairlife milk brand -- a business that Coke wonkishly refers to as "value-added dairy." Like its rival Pepsi (PEP), Coke realizes that it must diversify beyond its slow-growth cola brands in order to attract more consumers. And the strategy seems to be working. For Boeing (BA), the story is pretty simple. People are traveling more worldwide and the strength of the global airline industry is great news for the company. Boeing reported record demand for commercial airplanes, jets like its 787 Dreamliner, 747 and 737 MAX. Revenue from the commercial airline unit surged 18% from a year ago -- easily offsetting a decline in sales at Boeing's defense division. And Boeing's sales are poised for another big boost over the next few years. FedEx (FDX) announced late Tuesday that it plans to buy 50 more 767-300F planes between 2018 and 2023. That deal is worth nearly $10 billion. The broader market was down a bit Wednesday as investors worried about Apple and Microsoft. But Boeing and Coke prove that there's hope for some other old blue chips.